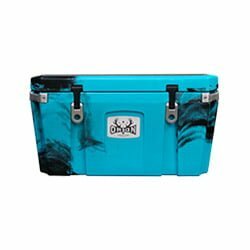 So we’ve been talking about coolers, whether hard or soft, for a while now and we thought we should look into doing a matchup for some other kind of insulated product. In this case, we want to tackle the case of tumblers and find out which is the best tumbler in the market. Now, we’re going to preempt this before we go too far and just say that we already think the best brand out there is Yeti. So you already know who the undisputed champion is in this match. 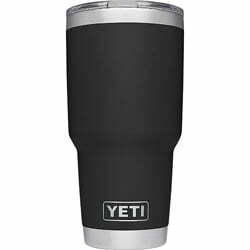 However, this article is mostly about what other options there are in the market and what makes them a good choice, especially if the Yeti Tumbler is not in your budget. That said, get ready for an exciting review! We use the word ‘tumbler’ a lot without taking a moment to think about the meaning. What is a tumbler and how is it different from a cup or a glass? The meaning is actually quite interesting. A tumbler, in general, is any glass or cup that has straight sides, coming with neither a stem nor a handle. It is one single unit. With that in mind, a lot of things we use every day are tumblers. Your average glass is a tumbler. Your coffee mug, so long as it does not have a handle, is a tumbler. It is a very general definition. 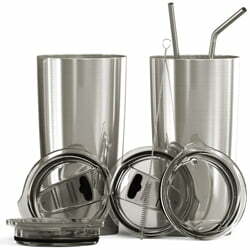 The major difference between the conventional tumbler and a cup is the handle. Tumblers have straight sides and no handles. If it has a curved side, then it is not a tumbler. If it has a handle, it is not a tumbler. What we’re more interested in in this chapter is the insulated tumbler, which is a very special kind of tumbler. An insulated tumbler is basically a tumbler with two walls. It works a lot like a house with a double-wall. There is a cavity between the outer and inner walls, which holds a pocket of air. That pocket of air acts as insulation, preventing heat from escaping the inside of the house, and also preventing cold from seeping in. That way, the interior temperature of the house remains warm and stable. In an insulated tumbler, we have something of the same mechanism in action. The inner wall is usually made of stainless steel. The outer wall can be made of anything, from stainless steel to plastic to glass. Some people don’t like insulated tumblers with stainless steel inner walls because they give a metallic taste to the beverage inside, especially if that beverage is black coffee. For that reason, there are tumblers with glass, plastic, or even ceramic inner walls. The most common inner walls, however, are the stainless steel variety. Glass ones are pretty easy to break by dropping or even just knocking the tumbler. Tumblers, because of their insulation mechanism, can keep your drinks as hot or as cold as they were when you poured them in for a long while. 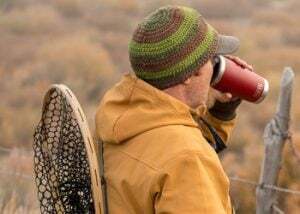 They are usually used to keep coffee and tea hot by those who move around a lot and don’t have the time to sit in one place and drink their beverage. Since they would rather drink on the move, they need a container that will keep their drink hot for them. Best Insulated Tumbler – What to Look for When Choosing? It’s understandably not easy to know which insulating tumbler to choose for your drinks. Every tumbler out there promises to keep your drink cold or hot for an insane number of hours. It can be a little overwhelming to find the right tumbler in this case. A good place to start is to know about the different types of insulated tumblers on the market and how they work. Insulation by air – this is at the bottom of the hierarchy, maintaining the temperature of drinks for the shortest time. Insulation by vacuum – This is better than insulation by air and maintains the temperature of the beverage for longer. Insulation by copper – This is the best kind of insulation and maintains the temperature of your beverages for the longest time. The double-wall on an insulated tumbler is very important. The air in between the walls keeps your drink protected from the ambient temperature in the surroundings. This keeps your drink hot when it is cold and cold when it is hot. This is the most popular type of insulation on tumblers in the market. It will help maintain the temperature of your drink for pretty long periods of time. Most major brands use this type of insulation, including Yeti. outer walls. This is the best kind of insulation if you want to maintain the temperature of your drink for extra-long periods. Basically, you have a copper coating on the outer part of the inner wall, which prevents the transfer of heat from the interior of the tumbler. Whatever the ambient temperature, the temperature of your drink is likely to hold out for impressively long periods. This by far the most expensive kind of tumbler to buy, however, so make sure it agrees with your budget. For most people, a vacuum insulated tumbler will do just fine. Features – You want a tumbler with great extra features, such as a lid, different options for the finish, based on your tastes and preferences, packaging, and so on. This is all part of value addition and is all about you getting more bang for your buck. You should also check that the product is labeled BPA and BPS free as these are harmful plastics you certainly do not want anywhere near your drinks. Price – Your budget will be the main determinant for the price range you restrict yourself within when you’re looking for a tumbler. 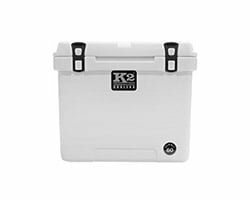 Some, like Yeti, are on the higher end but provide higher quality and a more reputable brand name. Others are on the lower end and provide only the bare minimum. Then there are those in the middle that have great features at an affordable price but not very reputable brand names. Guarantee and Warranty – A company that is willing to stand behind its products with a guarantee and a warranty is one that is committed to quality. It is a direct testament to the quality of the products that you are getting, so always go for products with generous warranties and guarantees. Now that we’ve got ourselves a little more acquainted with tumblers, it’s time to check out the main players on the market and find the best tumblers for sale. The following list is our current best, but it is by no means either exhaustive or permanent. Expect it to be updated with time. Yeti tumbler comes with the trademarked Yeti MagSlider, which uses magnetism to protect your drinks from spilling. 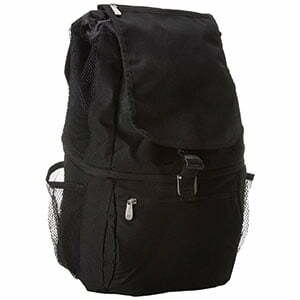 It is also BPA free, with 18/8 stainless steel body. That means it maintains the temperature of your drink very well while also being resistant to dents and dings. It has a wide lip so drinking isn’t a problem and also stands at 7 5/8 inches high. 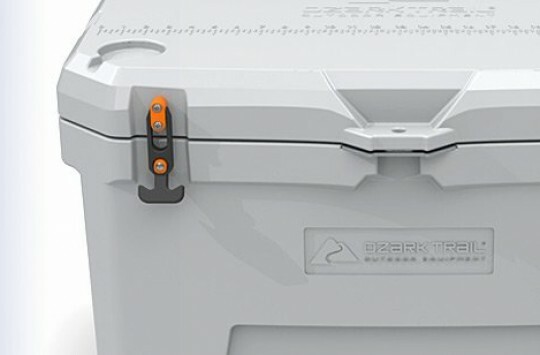 It’s not only effective at its job but also beautifully designed like all other Yeti products. You’re going to be proud of walking around with this tumbler,and your friends are sure to envy you. 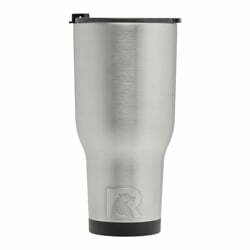 The RTIC Tumbler is a very affordable tumbler that comes with some great features. The first is that it uses double-walled vacuum insulation. 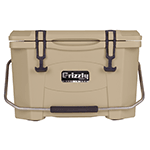 This is pretty good insulation that allows it to maintain the temperature of your drinks for up to 24 hours. It works just as well, whether your drinks are hot or cold, and lets you enjoy anything from your coffee to your wine. You might want to clean it between drinks, however, unless you want your wine to have a bit of caffeine in it from the morning coffee. Something else we absolutely love about this tumbler is the range of colors you can choose from. No matter what your style is, you can choose from any of the many colors and enjoy expressing your style with your coffee mug. That coupled with the price and the decent performance makes it a great tumbler. 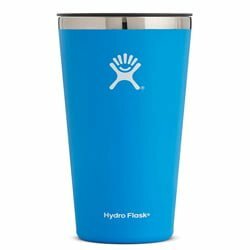 Hydro Flask is a brand renowned for making top quality products to rival the likes of Yeti. The type of insulation is vacuum insulation, which will keep your hot drinks hot and your cold drinks cold. The hot drinks will stay hot for up to 6 hours while the cold drinks will stay cold for up to 24 hours; an industry standard. With this flask, what stands out the most is the design. It is very sleek and elegant looking. It’s made to fit well in the average cup holder and also to be very comfortable in your hand. Hydro Flask Tumbler is also made out of BPA-free plastics, making it safe for you. The steel on the outside, as would be expected of a top quality insulated tumbler, is 18/8 stainless steel. It’s also got a good grip, which means it won’t easily slip from your hand and comes with an insulated, spill-resistant lid that doesn’t need any extra cleaning. 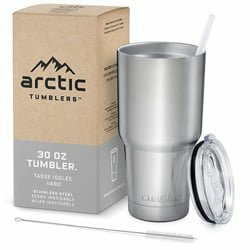 This tumbler is so good, interestingly enough, that it actually costs more than the Yeti Rambler Tumbler! Orca is another brand we love for the variety they offer when it comes to color. It’s easy to get just about any color you’re looking for on a tumbler. 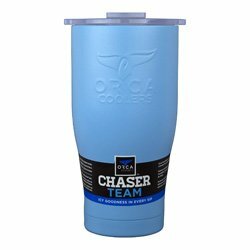 ORCA Chaser Cup is a pretty expensive tumbler, and there is a good reason why: It uses copper insulation. The outer part of the inner wall is coated with copper, making it even better at retaining the temperature of the drinks you put on the inside. The lid is made of Tritan polymer,and the gasket is made of silicone. 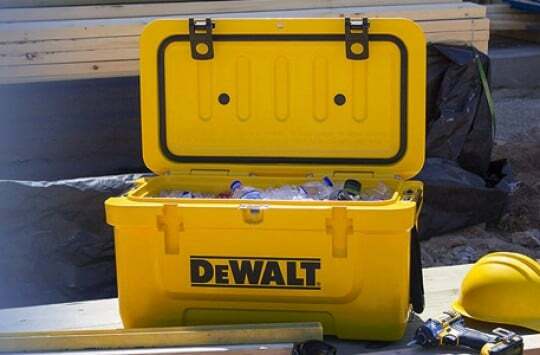 That means you’re getting a leak-proof lid to keep your drink inside the tumbler and also to help with the insulation. All the materials are BPA-free, and the steel on the outside is 18/8 stainless steel. The outside is sweat proof, making for a much better grip. All in all, it is a beautifully designed and well-performing tumbler from a strong brand. The Arctic Tumbler uses standard vacuum insulation and will keep your hot drinks hot for up to 6 hours and your cold drinks cold for up to 24 hours. It has a sweat-free exterior which keeps your grip strong and also ensures you don’t get burnt or frozen based on whatever drink is inside your tumbler. The steel on the outside is 18/8 stainless steel, the lid is Tristan, and all of the materials are BPA-free. The tumbler is made to fit just about any cup holder and also fits snugly into your hand. It. It doesn’t come with as much color variety as some of the other tumblers on this list,but it has a great design. 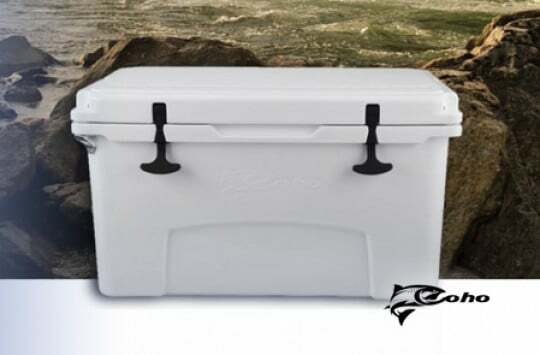 Ozark Trail is a relatively new brand on the market, specializing in just about everything coolers, from hard coolers to soft coolers to drinkware. They like to keep things simple,but good quality and you can see that in just about all of their products. 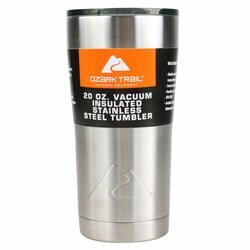 Ozark Trail Tumbler is very simple in design, with a stainless steel exterior that comes in a variety of vibrant colors for those with different tastes. The insulation method is vacuum, which means your cold drinks will stay cold for up to 24 hours and your hot drinks will stay hot for up to 6 hours. All the materials are also BPA-free,and the stainless steel on the outside is 18/8 grade stainless steel. It also comes with a mid-range price that makes it affordable for most people. We simply love this brand, and we can’t seem to run out of good things to say about it! For starters, we love them when it comes to giving the customer value for money. You’re going to get a decent variety of colors to choose from, but that’s something we’ve come to expect from most brands. What really makes these guys stand out is the extra stuff. Every tumbler comes with 2 stainless steel straws, a straw brush, and a splash proof lid, all for free! They all come wrapped up in some pretty cool packaging too! The insulation is vacuum insulation so you know your liquids will retain their temperature for a decent amount of time. The steel is 304 18/8 stainless steel, the interior is electro-polished, and you won’t get any unwanted flavors in your drink, which is a problem that comes with many stainless steel interiors. 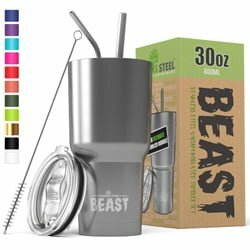 The best part is that BEAST 30oz Tumbler comes with a lifetime guarantee! When it comes to features, these guys really go out of their way to give you value for your money. So, as you can see, there is a lot out there in terms oftumblers to choose from. You get the very best at the top and the just good enough at the bottom. Whatever your budget, you’re sorted. One thing you’ll notice about these tumblers is that many of them look similar. However, the best in terms of design, quality, and brand reputation has to be Yeti. Just one step behind that we have Hydro Flask, ORCA, and Arctic. If you want something a little cheaper and don’t mind the reduction in quality, then you can also go for the RTIC, the Ozark Trail, and the BEAST. 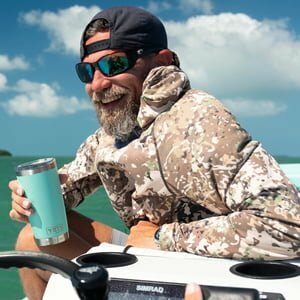 Insulated Tumblers for Sale – Where to Buy Them? Lots of places! You could buy them on the websites of the manufacturers, or at your local Walmart, or on eBay, or pretty much anywhere else. However, if you want to buy your tumbler online and are looking for the trusted online market place, then Amazon might be your best bet. They come with lots of features, such as real reviews by real customers, buyer protection that guarantees your money back if you return the goods within a certain period, free 1-day shipping if you’re a Prime member, and a wide variety of products to choose from. And with that, we end our best tumbler review. As you can see, there are a lot of options on the market,and your choice ultimately depends on your tastes and preferences. Whatever you pick, however, make sure it’s the best thing for you!